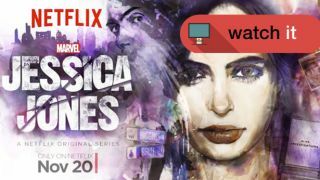 This is a second opinion review of Marvel's Jessica Jones, which you can view on Netflix right now. You can read our first review here, which was written after one massive binge-viewing session. Warning: some mild spoilers lie ahead. Jessica Jones isn't a superhero drama, it's post-superhero. It's about a person who tried and gave up on saving the world, the life that is left and the demons that come with it. Jones is no longer a superhero but a private investigator that gets tied into a missing persons case that is directly linked to her own past. Jessica Jones is a show that wouldn't have happened without Netflix - or at least another service that is free from the shackles of scheduled programming - and it's superb. Like its titular character, it does have some issues but they never detract from the beauty of the show. Krysten Ritter is perfectly cast as Jones. Taking the brilliance she brought to Breaking Bad, Ritter adds a real authenticity to the character. This is someone who makes mistakes, drinks too much and has pissed off enough people that her friendship group is now just a handful. It's also a person that is haunted by a past that now forges her present: each decision she makes is a barrier to stop the past coming back - her every move is both defensive and a defence. It's apt then that Jessica Jones' narrative weaves into a bigger tapestry: the Defenders. This ragtag team of Marvel Superheroes is Netflix's big Avengers-like play. Daredevil was the first, brooding series. Jessica Jones walks among the same Hell's Kitchen setting and this is to be followed by shows focusing on Luke Cage and Iron Fist - all culminating in a Defenders series. So far so Marvel, but Jessica Jones is far removed from the sanitised world of Avengers and Agents of SHIELD. Jones is connected to the bigger Marvel universe but it's kept at arm's length, for good reason. Jessica Jones and Daredevil live in a harder, edgier and, frankly, more interesting world than Iron Man and co.
That is not to say the movies aren't knowingly nodded to throughout the series. Sometimes these hints are self-referential - a kid running past the camera in a Captain America costume - while some do nothing to push the plot along but point to the bigger comic-book picture. The battle that ravaged New York in the Avengers, for instance, is referred to as The Incident. Even Stan Lee makes a cameo - keep an eye on the pictures on the wall of the police department. One way the show and the movies do gel, though, is the genius path the non-Avenger movies have gone down - that of the genre piece. Where Captain America: The Winter Soldier is a conspiracy film, Ant-Man a heist flick, Jessica Jones is a detective show. Its roots are found in the likes of Philip Marlowe from The Big Sleep. Jones is a jaded, hard-drinking, life-dedicated-to-the-job PI. Hell, even her theme tune sounds like it's piped out from a smoke-filled Jazz-tinged bar. And let's not forget Jones offers up her own cynical voiceover throughout the show. Kilgrave - was Murdercorpse unavailable? Despite the show being called Jessica Jones, her world comes alive when side characters are introduced. They all have a rich backstory that is ready for mining in the inevitable second season. There's the lawyer she befriends - a great Carrie-Ann Moss - who is embroiled in a messy love triangle, Luke Cage whose own story is set up within the series and whose past deals a devastating plot blow. And the best friend who is one step away from becoming a superhero herself.